A manual that answers the question what makes businesses that succeed very well, different from the rest? Are you serious about building a winning business? Then read this book. Why do some businesses struggle or even go under, while others go through the roof? The answer is It's not what you're selling, it's how you're running the show. 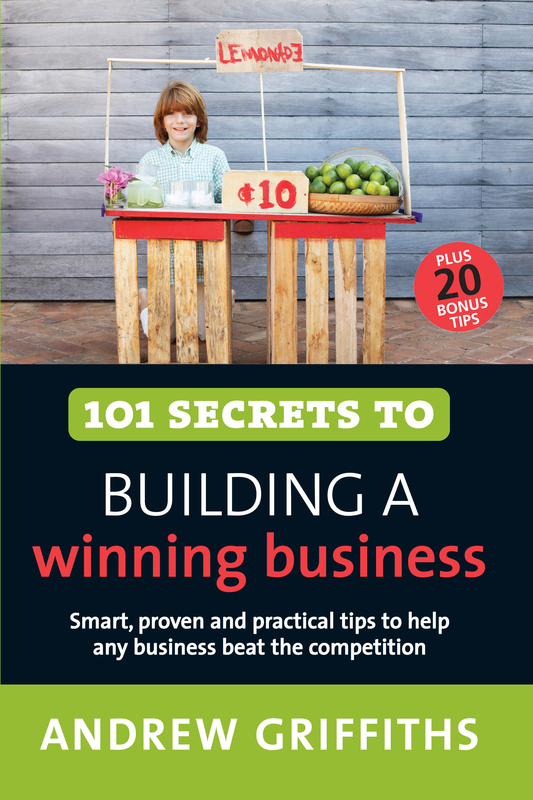 Whatever your business interest or level, 101 Secrets to Building A Winning Business is packed with tips on how to run your show and build it up. Andrew Griffiths suggests a range of actions that you can take to turn your bright idea into a winning and money-making business. And the actions he suggests are easy to implement, fast, practical and most important they will not break the bank. Taking on board even a handful of the actions suggested in this book will lead you down the path to building a winning business. Andrew Griffiths is internationally recognised as a bestselling author, keynote speaker and trainer. Andrew provides smart, realistic and powerful advice that will help any business to reach its full potential. He is the author of six previous 101 Ways . titles from Allen + Unwin.